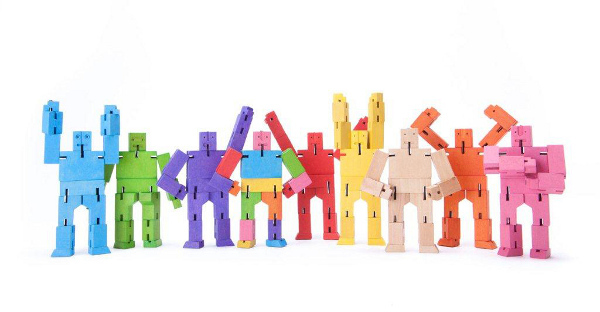 It’s almost three years since we first came across Cubebots, the wooden robots just begging to be posed in odd ways and displayed on a shelf or played with around the house. 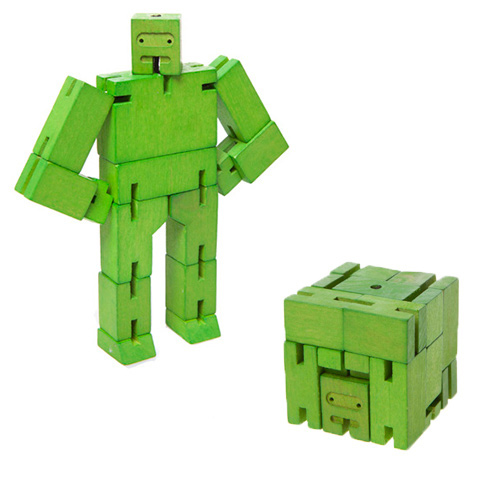 Now, they are even easier to get your hands on, with this new addition to the range – Micro Cubebots! 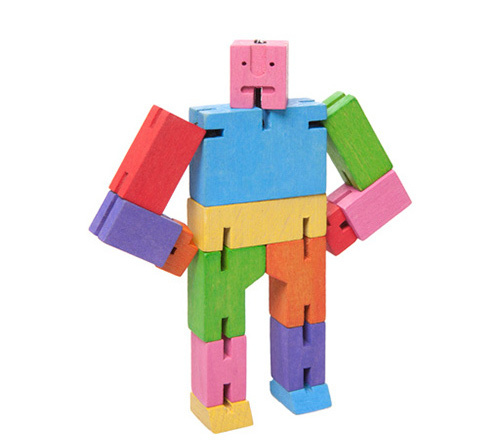 A bit like a super cool version of a Transformer – the Micro Cubebot changes from cube to robot, and elastic bands hidden within this great wooden toy enable you to pose it and move its arms and legs around. It comes in a range of bright colours, or a multicoloured robot if you’re having too much trouble deciding. And yes, if your kids aren’t the right age, it’s perfectly acceptable to buy one as a desk toy. Made from sustainably harvested cherry wood, they stand at just under eleven centimetres. You can get yours from The Little Homewares Company for $14.95, plus postage.